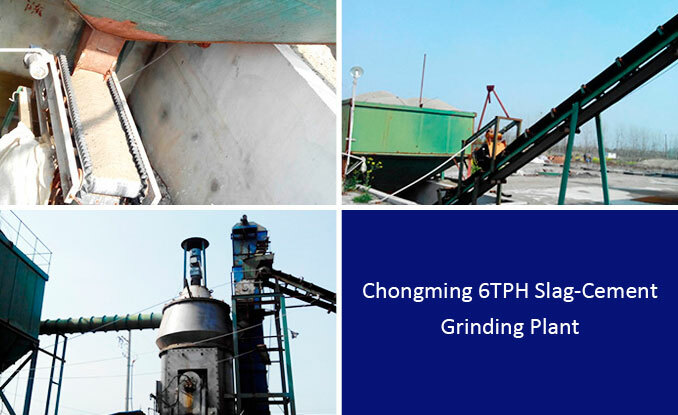 The vertical mill production plant is located in Kai Long Township, Chongming Island , which is the production plant of slag micropowder. The raw material is slag, the specific surface area of the product is 380m2/g (fineness is 325 mesh), and the finished product output is 6t/h. The product is mainly used in mixing station as additive (auxiliary material).